Luxury lockers are a good investment, because they raise the aesthetic appeal of your locker room, adding value to your club. But what’s the real appeal? Lockers are more than just a place to store things, and custom made luxury lockers can make all the difference in whether or not guests build lasting friendships in your establishment. 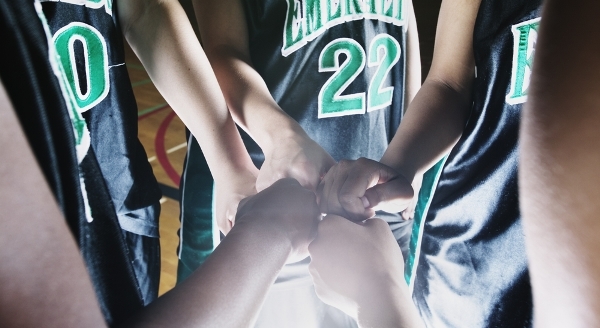 It’s well known that camaraderie is a big part of any team’s success. Building those important connections is not just something that happens on the field, though, and it’s smart to provide teams with places to forge bonds during their down time, too. Colleges like Hampton University have caught on to the impact a locker room can have, and Hampton recently refurbished theirs, with gleaming wood lockers and plenty of space for team spirit to grow. By honoring the team’s legacy with luxury lockers and a welcoming space, school officials are encouraging players to be proud of their connections to the school. From the NFL to the locker room at a private club, there’s an agreement that chemistry plays a big role in an organization’s success. Whether you’re trying to foster this bond to help propel your players to the big game, or simply to make them feel more at home in your club, it’s important to give due attention to the ambience of the locker room. The right locker room can help athletes alleviate stress, taking their minds off their troubles and focusing them on the task at hand. What’s your intent for your locker room? Do you want people to dash in and dash out, or linger around luxury lockers, feeling pampered and making connections. If you’re looking for quality custom wood lockers, Legacy Lockers can help you design a locker room of which you can be proud, to enhance the style and reputation of your club. For more information, visit our website, or call 866-937-1088 for more information. When it Comes to Locker Room Design & Innovation, Wood is Good Just the Way it Is.